Super Bowl halftime performances are about as hit or miss as the Super Bowls themselves. Take last night. In what was a sure fire, can’t miss night of football featuring the very first matchup between the AFC and NFC #1 seeds, the game was a dud. The Seattle Seahawks destroyed the Denver Broncos by a score that resembled an early year college football game. On the flip side, the halftime show was one of the best in recent memory. I was a skeptic. After all, the Super Bowl Halftime Show is often led by a legacy artist, or an artist that has entered immortal status. In the last ten years, The Who, Beyonce, Madonna, The Black Eyed Peas and Bruce Springsteen have all headlined the show. So how could Bruno Mars stand up to this type of legacy? Especially when the game was being played in a city rich with musical history. Didn’t Billy Joel, Bon Jovi or even Bruce Springsteen make more sense for a game being held in the Meadowlands? Nope, we got Bruno Mars, a guy born in Hawaii. And I’m so happy we did. 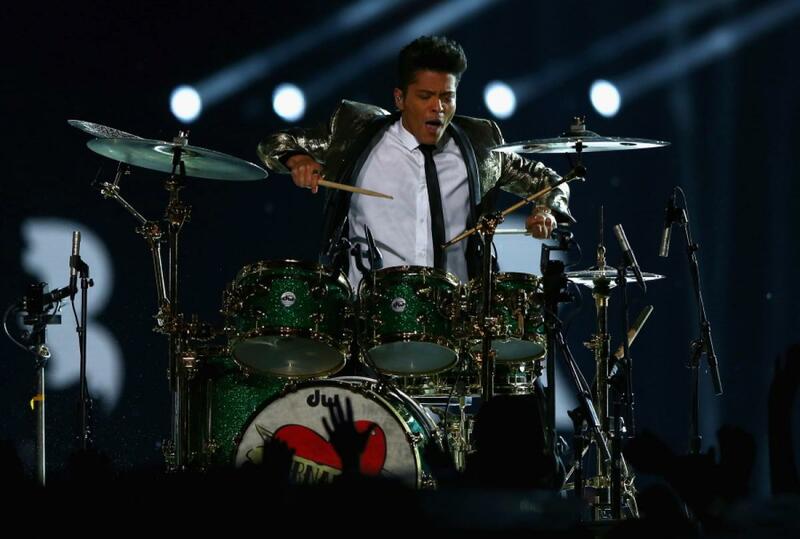 What Bruno Mars showed us last night is that the Halftime Show is about great music and a great time. It’s not about special effects or outrageous dancing. It’s about the music and Bruno Mars showed why he’s pops brightest rising star. He didn’t care what people thought of him. He had a great time on stage and that shined through to audiences worldwide. Literally the entire performance was perfect, starting with a children’s chorus on stage singing the chorus of “Billionaire,” the Travie McCoy song that put Mars on the map in 2009. He then opened “Locked Out Of Heaven” on a drum set, banging away (he can actually play the drums) before transitioning to “Treasure.” Both of these songs are from his latest album Unorthodox Jukebox. Mars then payed homage to his debut album with “Runaway Baby” from Doo-Wops & Hooligans. The Red Hot Chili Peppers joined Mars onstage after a very smooth transition into “Give It Away” and rocked out right alongside Mars’ band. They all went crazy with Flea and Anthony Kiedis shirtless in the 35 degree weather. Mars came back alone to end the show with “Just The Way You Are” in tribute to the United States Armed Forces. That song was his first solo single and his highest selling to date (6x Platinum). It was a great performance that should live on as one of the best in quite a long time. Pundits will ask why a ‘New York guy (or gal)’ couldn’t have performed. Let me be the first to say as a New Yorker, I thought Mars was sensational.